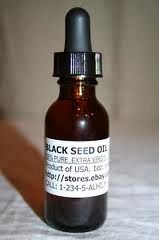 LADIES SECRET DISEASES: (Leucorrhoea, White Discharge, Menses discharges 2 to 4 times a month, stomach pain, back pain) Treatment – Take mint (Pudina leaves) add two glasses of water and boil, then add half tea spoon kalonji oil and drink one time in the morning before the breakfast and in the night at the morning before breakfast and in the night at the time going to bed. Treatment may continue for forty days. Avoid Pickles, brinjal egg and fish. 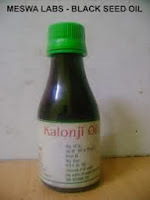 24) BLOOD PRESSURE:- In any hot drink tea/ coffee , add half tea spoon of Kalonji oil and use this mixture twice a day. Also eat two cloves of Garlic daily. thanks for sharing. 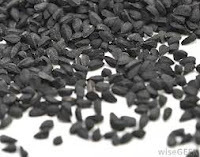 is kalonji and blackjeera are same? for diabetes ,is the preparation of 1 cup black tea and half tb spn kalongi oil should be divided and taken twice or is it 1 cup tea and oil twice ?